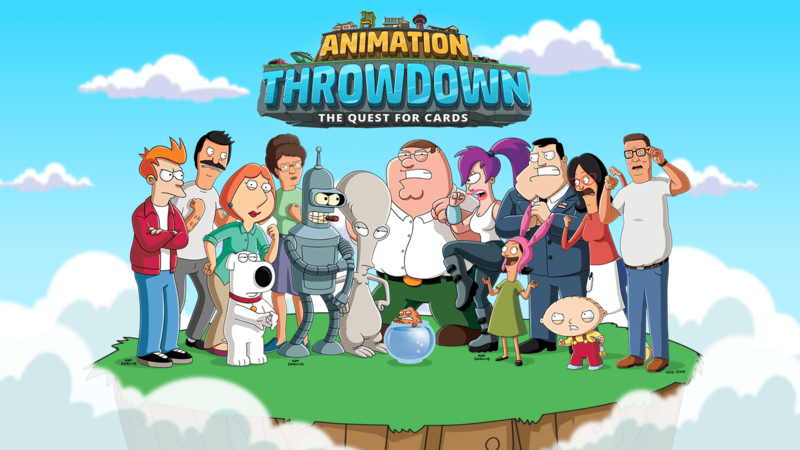 Welcome to the best fan site for the latest game Animation Throwdown. We are working to provide you with the best database and guides. Please check back later! Now individual cards have their own page redone. All links are available from both combo recipes and “Card Beta” section. Update the cards and combo list. There have been couple updates with new cards, we are redoing our database as well so that we can handle future updates better. I did not think ahead the first time around and previous work is hard to be updated without significant manipulation. Add individual pages for “final form” cards. Setup card stats values for their individual card pages. Rewrite the “best combo” page. Setup Card and Combo Images for each individual pages. Great work man, much appreciation please keep it up. Was looking for a database like this, much appreciated thank you! Also, I have a good Combo, How do i put it? Hey man, great site. I would love to help out with it in any way I can. I have a bunch of ideas about strategy and best combos and whatnot that are probably too long to put in comments. The quest requires 3 upgrades in a day for a 500 coin reward and a shot at 10 gems. Assuming gems are saved for a 25% off sale of an Epic Pack (450, best deal), this means 45 days of upgrading. Upgrading a common once and then recycling it nets a 1 gw loss over just recycling the common. However, I’d estimate the likelyhood of getting gw in a pack is ~1 in 3, netting 7 giggittywatt cards or 35 more gw. Also, I’d estimate the odds of getting a rare in a pack to be ~1 in 10, so there would probably be at least one rare floating around from that.Upgrading a rare once and then recycling it is neutral. The odds of gw and rares are based on experience, but are only estimations, not based on recorded data. However, this model also assumes that you won’t be upgrading outside of explicitly for the quest, which you probably will be doing. In my opinion, it is worth upgrading and recycling commons for the quest if needed. Not only do the gw work out in your favor, but you are also opening 23 additional packs, which gives a much better chance of finding a specific card. So for the combos, I have to use my best guess at the formulas for A/D right now. I’m not even going to attempt to formulize the skills because that’d be disastrous. So, Scooty-Puff Jr, which has a listed skill of Crazed 12, but requires one common card and at most one epic card probably ends up at ~crazed 6-9, which is still bonkers. I haven’t maxed this combo yet, so I’m not sure about the exact stats, but these are reasonable approximations. This card is a support Queen! Let’s start with motivate 6. This is only one less than most non-judgey maxed combos, but the tradeoff is mad staying power and a powerful right hook. The only two other motivate/punch combos are 7/10, but Thinker Ape also has Sturdy 8, which makes it a great wall. Plus the cards are each great individually, Amy being an 8/26 Mot:5 Boost:5, and Vitruvian Man being a 13/18 Mot:4 Cheer(Fut):2 Cripple All:3. And you can get them both by farming 4-1, which isn’t difficult after you level up a bit. Cripple all is a great skill. This crazed stat make it a great early offensive card. It might even be worth sinking the extra Giggittywatts into Fry and another common early because this is frankly ridiculous. Very similar to Scooty-Puff Jr, but with a higher high end and base stats. Leech gives staying power and cripple all is powerful even into later game. I’ve lost a few farming matches to them dropping this combo turn two and me not being able to make a combo of my own and not being able to attack them for anything while they withered away my cards with Shut Up and Take My Money. Anything on that Griffin costume party card and bug? Love th database! Best I’ve found and will continue to use if it’s updated. Nice work! Just a tip, I can confirm that Stan+Blaster = Rapture Stan, not Space Stan. It would be useful having the cards pictures, for easier reference. Hiya! I absolutely love this game! But If I may suggest, I think multiplayer would be pretty rad!!! There should be a way so we could summit card combos.